For better or for worse, there are certain firsts in my life that I will never forget; my first kiss - Annie Barnden, year 7, behind the DJ booth in the rugby club, my first beer - 15 years old, visiting my older sister at college, my first roller-coaster ride - American Eagle, Six Flags Great America, and, oddly enough, my first meatball sub - TC Lando's, Acton, Massachusetts. I have my parents to thank for my interest and passion in food, as well as the inspiration for many of my recipes. 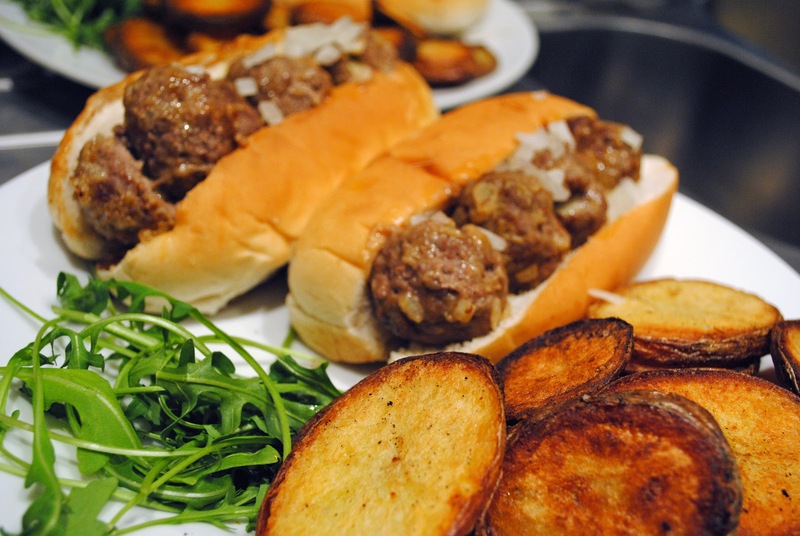 My mom used to make these fantastic mozzarella meatballs for us kids, and rather than try to mess around with the recipe too much, instead I've stuck them in a bun, and served them with chips - thanks mom. To start with, homemade marinara sauce is essential - shop-bought stuff doesn't even compare, and ends up costing twice as much as it is. Peel half a dozen tomatoes - retaining the stalk if possible. 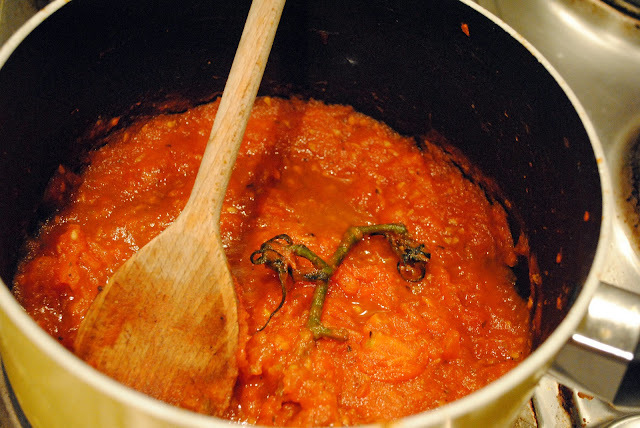 Chop the tomatoes into medium chunks then fry over a medium heat in a little bit of oil. Throw in the stalk for extra tomatoey-ness, add a squeeze of tomato puree, some oregano and a spoonful of sugar (admit it, you just started singing Mary Poppins didn't you?) - leave to simmer. Easy. Cheap. Delicious. 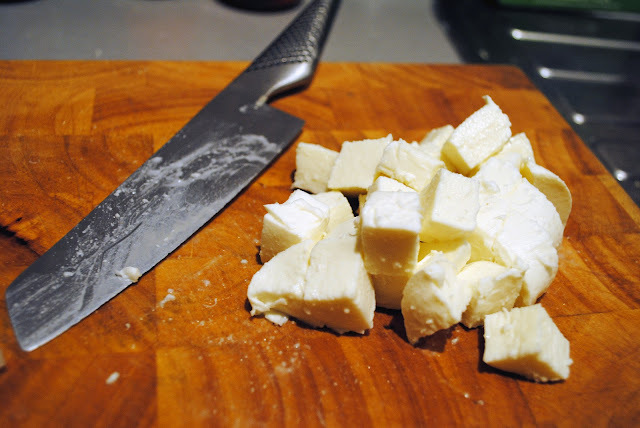 For the meatballs, start by dicing your mozzarella ball into squares. Eat several of these to make sure they taste as good as they look...this is a pretty important step. 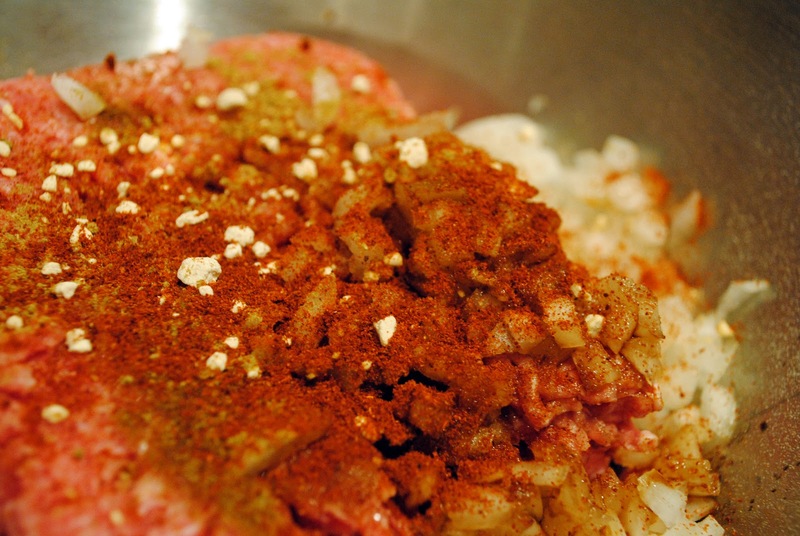 The mince mixture. There's no exact science here whatsoever, so use whatever you like, and whatever you have to hand. I generally go in with a small chopped onion, some chili powder, garlic salt, a splash of soy sauce and a pinch of salt. Stick your hands in and give it a mix..why the hell not. Depending on how big you like your balls, 500g of mince should give you somewhere between 12-16 of the beefy treats, so separate accordingly. 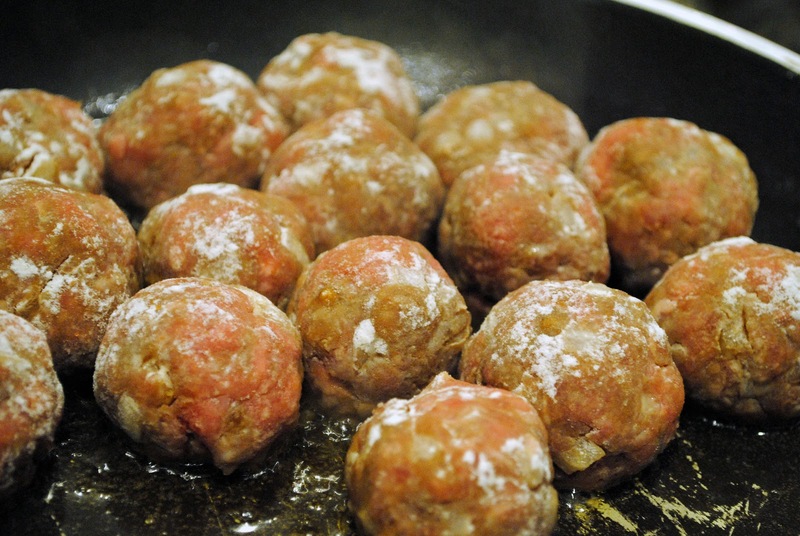 Making a well with your thumb, push a square of mozzarella into each of your meatballs, rolling between the palms of your hands, getting it as smooth as possible so that any potential melted cheese escape routes are blocked. Once they're all rolled, dust the meatballs in flour. I have three reasons for doing this; 1 - it helps to seal the meatballs to prevent seepage of cheesage, 2 - it crisps up nicely, adding another texture to the soft mince beneath, and 3 - it makes a bit more of a mess, and if you're cooking you're probably not cleaning up...might as well take advantage and keep her busy. Brown off in oil for a few minutes before sticking the frying pan right in the oven for 5-7 minutes to finish them off. Just look at that. 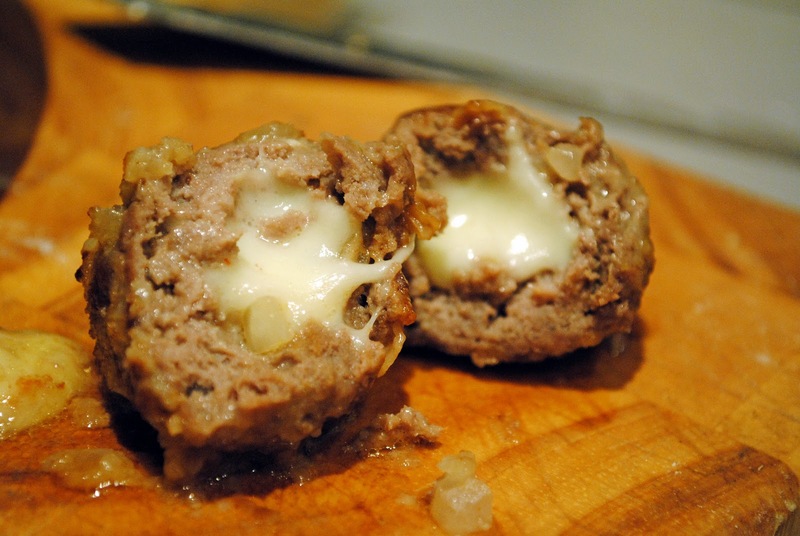 There really is nothing better on this planet than meat stuffed with melted cheese. I dare you to argue otherwise. 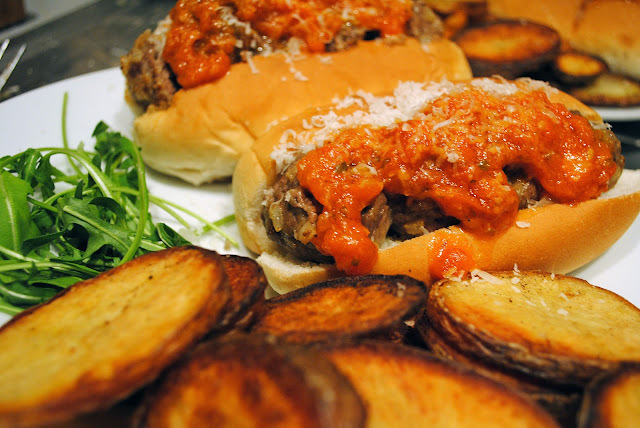 Stuff as many as you can into a baguette or bun, spoon over some of your marinara sauce and finish with a bit of parmesan. Serve with a bit of rocket and some home-cooked chips. Stuff your face. This might not be the first meatball sub you ever had...but it might just be the best. 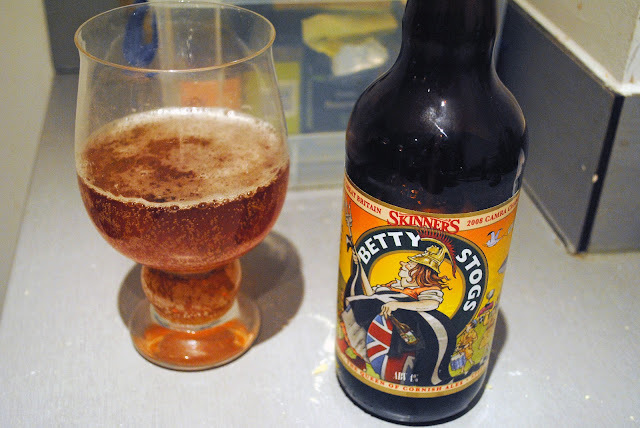 By my count, this was my 2,783rd beer. And I enjoyed it far more than my first. when i start making these im gonna get so fat! look amazing again!